Hi Simple Stories and Kerri Bradford fans! 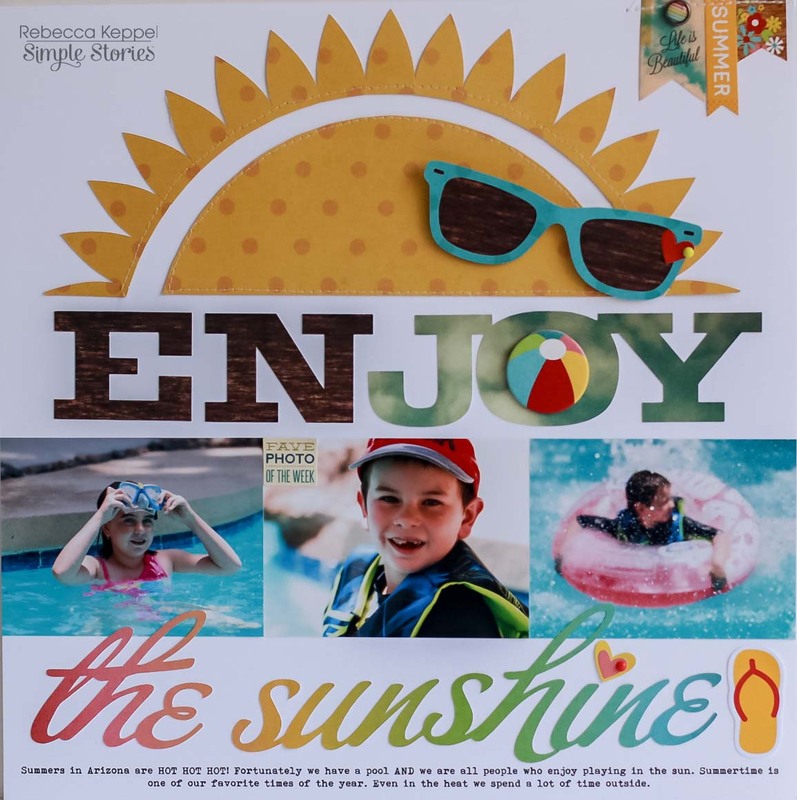 Rebecca Keppel here to combine Kerri Bradford Studio's fabulous digital cut files with my current favorite Simple Stories collection Good Day Sunshine. The combination is absolutely addicting and I am willing to bet my next bunch of layouts will include the same! 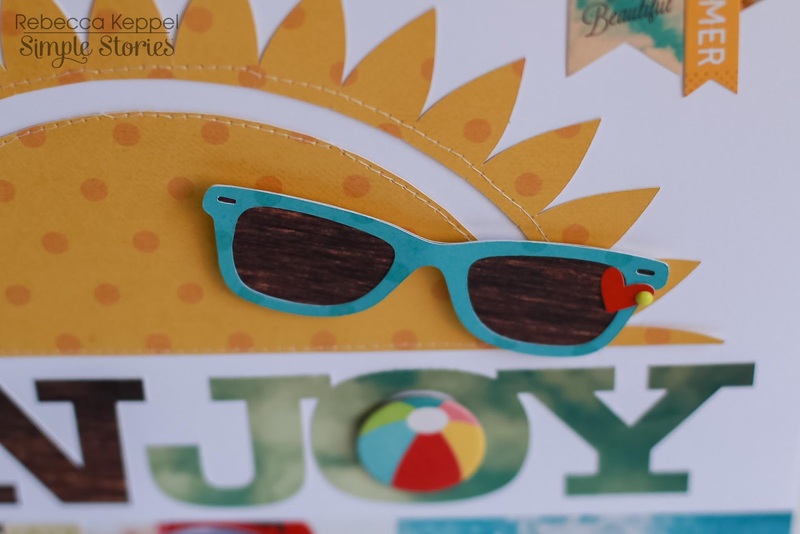 I started with Kerri Bradford's Enjoy the Sunshine cut and the Simple Stories Good Day Sunshine Basics to cut out a large sun. 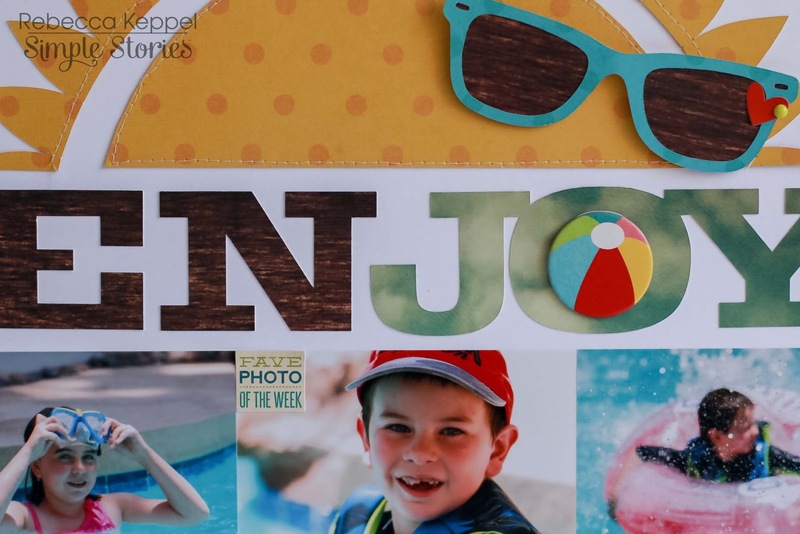 I cut the last part of Enjoy the Sunshine with Simple Stories Carefree patterned paper. By turning the paper 90 degrees and cutting, I was able to see the entire rainbow of colors in the two words "the sunshine." Last, but not least, I also used the Have a Great Summer cut. I removed everything besides the glasses and cut the frames from the Teal Basics and the lenses from the Beach Wood Basics. This was my first opportunity to use Kerri Bradford Studio's digital cuts, but it will definitely NOT be the last! The KBS website is easy to navigate, the files are a breeze to download and use and they work so well with Simple Stories designs! I love your page Rebecca! The sun is so neat and love how the words look in that ombre page. The glasses though are the neatest touch! that sun looks wayyyyy cool!